We always like to follow what is happening on the world stage when it comes to manufacturing and our PMI (Performance of Manufacturing Index). 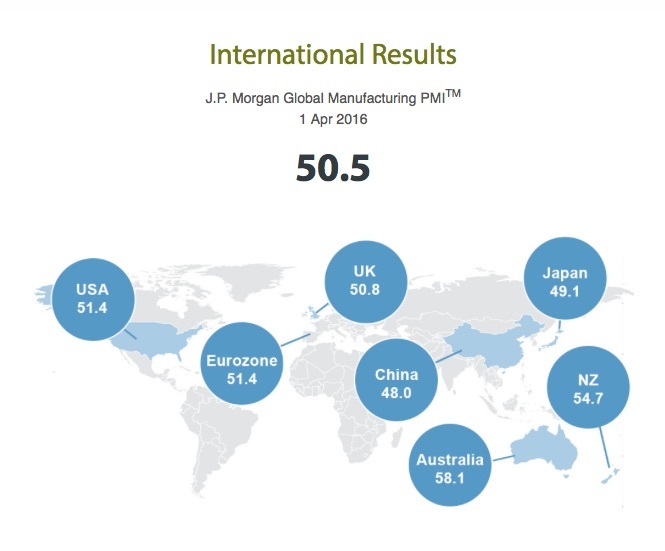 Since 2012 NZ manufacturing has been in continued expansion and although we saw a slower rate of expansion in March, according to the latest BNZ – BusinessNZ PMI of 54.7 it is still well above the 50.0 mark (which indicates a declining market). BusinessNZ’s executive director for manufacturing Catherine Beard said that the dip in expansion for March was across all the sub-indices, with employment in slight contraction for the second month running. On a three month average basis, NZ’s PMI still stands head and shoulders above similar indicators from major economies around the world. Until last month, NZ’s PMI has consistently out-paced Australia’s for several years. However, the 3.4 index point gap in March is the largest in Australia’s favour since mid-2010. Analysts say that this is not necessarily a bad thing. Sam Fulton at Fero tends to agree and believes that this might well be a good thing for NZ if it indicates positive growth in the Australian economy as a whole. He believes “There are many benefits from trans-Tasman trade for both countries. A growing Australian market offers many opportunities for NZ companies and solves a lot of problems for Australian businesses. We would love to see more customers from Australia in the near future”. We have been lucky enough to work with Escea for a number of years and have witnessed their company grow and develop over this time. Escea has become a well-established industry leader in the design, manufacture and export of leading-edge indoor and outdoor gas and wood fireplaces. Fero supplies the electronic components and wiring looms that go into the fires, enabling them to function – we like to call it the stuff where the magic happens! Historically we have always kept Escea’s production within NZ, until recently when we took the joint decision to migrate some of this work to China. It’s a reflection of the growth in their business and of the relationship we have with our Chinese partners that we are able to switch sourcing. It’s also an indication of the quality of our relationship with this client that they allowed us to look at alternative supply, and help them to reduce their costs. Unfortunately it’s not as simple as stopping production in NZ and then starting production in China. We have a detailed process that ensures material, quality, and form are exactly the same as we deliver from our local plant. Drawing approval, alternate material specification approval, and sample check and sign off are all required before we place orders on China. Once this process has been approved, then production can start. It may seem a long and lengthy process (and it is) but for Escea we were able to provide a cost down for them of up to 35% in some cases. We have maintained the quality, and maintained the lead time guarantees, whilst reducing the cost – a win win situation for this client. As well as the cost savings that Escea have realised in offshore production, they also have the security to do short runs here in NZ if they have spikes in demand. This not only provides them with a security blanket it also enables us to free up some capacity in our manufacturing plant in NZ for other lines. So with a cost saving of 35% why aren’t more companies doing this? Well, China is not a place you can just walk into and expect quality and lead times straight away. You have to build relationships with factories and suppliers and be able to vouch for the quality. This is where Fero’s knowledge of the market and our strong ties with our suppliers is imperative to a company’s success. We are more than happy to let valued companies such as Escea piggy-back on our efforts in China because without the knowledge and trust that we have built up over the years they would never be able to reap these rewards. New Zealand’s manufactured exports make up around 85% of all merchandise exports from this country. The manufacturing sector in NZ has once again shown a strong growth pattern for the start of 2016. According to the latest BNZ – BusinessNZ Performance of Manufacturing Index (PMI) the figure for January reached 57.9 (a PMI reading above 50.0 indicates that manufacturing is generally expanding; below 50.0 that it is declining). This was 0.9 points up from December, and the highest level of expansion since October 2014. The sector has now been in continued expansion since October 2012. There is also is an indication that the manufacturing industry is steadily moving towards more innovative and specialised goods and services. Some of these specialized services earn higher export revenues and are becoming very important for the overall NZ economy. 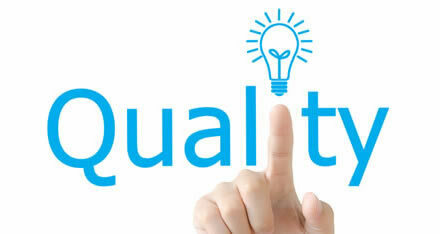 At Fero we pride ourselves on offering the best service and quality we can to our customers. 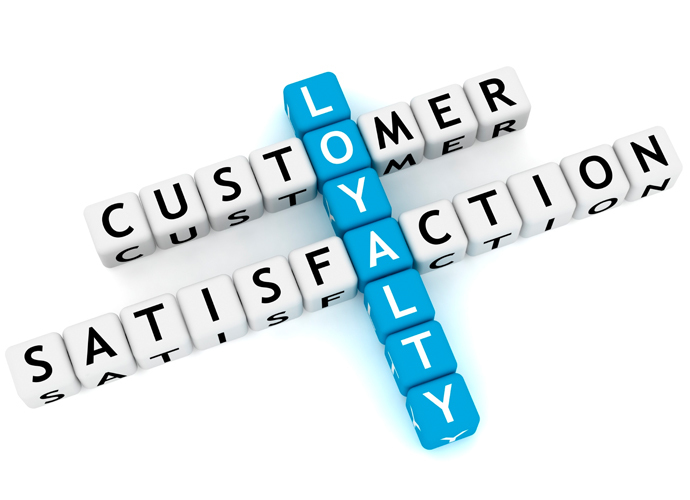 But as with all things, how do we know if we are hitting the mark or not and what do our customers really think of us? So with this in mind we developed a strategy that would enable us to build our business and help us achieve results in the NZ manufacturing industry that we could be proud of. This year has seen some big changes within Fero, with machines arriving that have enabled us to increase our capacity by 50% and with the implementation of our new MRP system. With changes come frustrations and we have certainly experienced a few ‘pull your hair’ out moments but these have now been ironed out and we know that in the long run this system will be invaluable. Thank you all for being patient with us as we’ve worked through this. Given the success of the survey in 2014 we wanted to see if we had improved over the year. The results from this year’s survey has once again been encouraging. Not only have we seen some real improvements in what our clients think of Fero, we have also seen a positive attitude to growth in the manufacturing industry which has increased by 10% compared to last year. Some of the highlights for us are in the overall figures, and we are delighted that 97.5% of customers are satisfied with Fero as a supplier to their business, an increase of 8.5% from last year. Our clients also said that 95% would happily recommend Fero to a friend, again an improvement of 9%. These numbers provide a great benchmark that we can maintain and build on year upon year. Interestingly, when customers were asked about Fero’s capabilities they were still not fully aware of everything Fero offers especially in Moulding and Chinese partnerships. We feel it is important that customers are aware of all our capabilities so we can assist them in a broad number of ways. Customers also expressed an interest in sharing ideas with our engineering team and we will certainly continue to offer this service throughout 2016. Another key area we wanted to improve was our relationships with businesses and finding ways that could begin to add value to our clients. Results indicate that our reps and the company as a whole have improved on this by around 10%. Our professionalism has increased by 14%, and 96% of clients believe that they have a good relationship with us (an increase of 8% from 2014). Understanding clients needs has also increased and we look forward to continuing this on a yearly basis. We are happy that 50% of you thought we were ‘extremely responsive’ (an increase of 25% from 2014) and that 60% of customers believe that Fero’s service is better than our competitors but we would like to see these figures increase next year. We know that service and consistency is very important to the industry and our customers, and we will be making this one of our goals for 2016. Along with service comes the issue of quality and some customers pointed out that our quality control could be better. We know that the MRP system has contributed to some of these issues but a review into lead-time, order notes and incorrect paperwork will be reviewed in the new year. Many of our clients had read and found the newsletter content useful and informative so we look forward to continuing to send these out every quarter. All in all the survey has once again given us some key indicators to follow up on, and provided insights into ways to improve our service and strengthen the NZ manufacturing sector as a whole. Thank you once again to all those that completed the survey. We look forward to sharing our improvements with you next year. 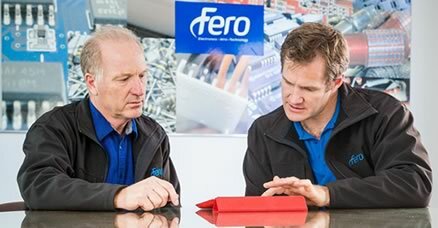 At Fero we are passionate about making the the manufacturing sector in NZ great, so it’s fantastic to see how important this industry is and the contribution it provides to the national economy. In the year ended September 2014, the manufacturing sector output accounted for 11% of real GDP and the proportion of the labour force employed in manufacturing was around 12%. These figures are increasing throughout 2015 with employment up by 10% compared to this time last year. According to the latest BNZ – BusinessNZ Performance of Manufacturing Index (PMI), the outlook is still remaining positive for the continued expansion of this sector for July. BNZ reported that the seasonally adjusted PMI for July was 53.5 (a PMI reading above 50.0 indicates that manufacturing is generally expanding; below 50.0 that it is declining). Although this was 1.6 points lower than June, it was still the second highest result for the last four months. The sector has now been in expansion for 34 consecutive months. The rate of progress has slowed a bit from last year, with the PMI averaging 53.5 in 2015 to date compared to the 56.0 average through 2014. But growth seems to be solidifying. July’s PMI result exactly matches the average in the first half of the year. There are other influences that effect the industry, and for some manufacturers the recent fall in the NZ dollar has been seen as a positive, whilst the negative influences were mainly from the dairy sector. The recent crash on the Chinese stock market is definitely a concern for all of NZ and analysts are warning that we may see a slower rate of growth in NZ manufacturing due to the impact on consumer confidence and potential consumption. That said, China is still a massive consumer and I don’t see them going away. Despite some of these negative influences the manufacturing industry is still very positive, and the fact the official figures show employment growth coming primarily from the manufacturing sector indicates that we are certainly holding our own. Buoyant production and the balance of new orders to inventory are encouraging signs for further expansion. It should be an interesting second half of the year! As part of the on-going LEAN work we’re carrying out here at Fero, and in answer to some of the feedback we received from customers in our survey, we’ve taken a good hard look at our customer service and made some significant changes. The aim is that the right people talk to each other on any given project that comes our way. It’s meant making more people available to our clients, throughout the company. It is about putting the right people in to the right conversations. Our customers know a huge amount about what they are requiring and we must always provide expert advice and consultation. In the old days we kept our engineers at arms length from our customers, preferring to let them get on with things and work hard in the back office. That’s all changed now. We need our engineers to be able to talk to customers’ engineers; talking the same language means a much quicker result. We now encourage our engineers to join us in meetings which might involve those more technical conversations. Plus they’re only a phone call away and more active, intrinsic players in project teams. The key is the Right Conversations with the Right People, resulting in getting the job done faster, issues resolved better and clients feeling happier. Our account managers still are the key representative of our business to our customers and will head up project teams, ensuring that we are working constructively towards better solutions. Little has changed there, as most of you were happy with them, their professionalism and their understanding of your business. It’s this last aspect though that we want to develop, enabling them to get right inside their clients’ businesses and be proactive in suggesting improvements to manufacturing processes. They need to be adding value to your business and be seen as part of your team as well as ours. Over time, we’ve found that this partnership approach works best for all parties and it’s a relationship we’re trying to develop with all our customers. We’ve created a number of roles that focus on customer service, taking responsibility for and answering those more general questions around deliveries, accounts, general logistics and timings. They work with the Account Managers to ensure projects run smoothly. They cover off some of the day-to-day project details allowing our Account Managers to spend more time out and about learning about your business and adding greater value. 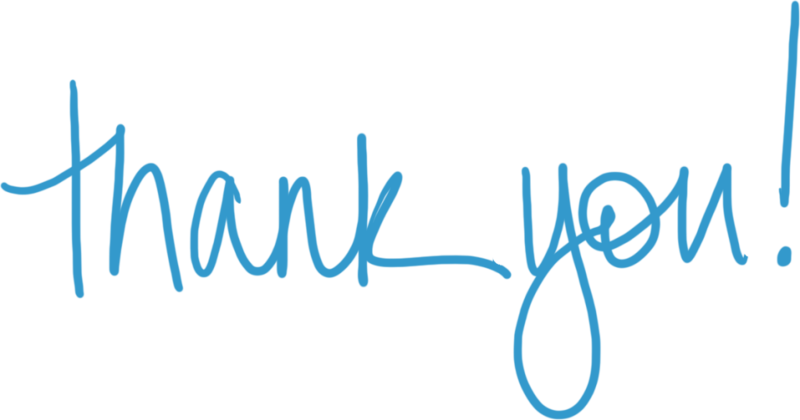 So, we would like to say THANKS. Without your honest feedback, these changes might not have been made. Hopefully you will all soon see the benefits to your business as we roll out this new approach to all our clients. Do you want to work at Fero? Every employer knows how important it is to have great staff. Finding the right people can at times be difficult on a small island like New Zealand. That’s why Fero has teamed up with Knowhow to develop a specific Fero careers site. The new site will enable us to better fit candidates to jobs, and ensure that Fero continues to have excellent staff. If you would love to work at Fero, then take a look here and see what’s available. As many of you already know, Fero’s been gaining a few column inches recently, talking to the press about the moves that many companies are making in bringing their product sourcing and manufacturing back to New Zealand. We’re passionate about New Zealand manufacturing, so of course it’s a trend we’re delighted to see. Not just because it helps our bottom line, but also because it’s simply the RIGHT thing to do. The arguments for and the perceived saving from manufacturing in China often don’t stack up. BUT, all this does not mean that China is not a great option for certain businesses to source from and that there are not some fantastic benefits to be had by dealing with Chinese suppliers. Our model does provide for a mix of supply. We know that it is hard to do business in China. We have been sourcing and manufacturing product there for more than 12 years now and we still are faced with significant frustrations. We have built up solid relationships with our partners in China, and employ Chinese speaking staff, here in Auckland, to discuss our requirements with their Chinese counterparts. We source products from there, on behalf of our clients, taking responsibility for the supply chain and ensuring that products are delivered on time and in spec. If events conspire against us and there are issues in the Chinese supply chain, then we can step in and deliver locally until the situation is resolved. The model that we have developed allows us to use our knowledge and experience to find the best supply option on or off shore, often a mix of both. By linking the best in local manufacture with the best in offshore supply we are able to manage a customers total manufacturing requirements. We can easily cover the larger run, low cost, stable product, whilst balancing against requirements for short leadtime, low MOQ, and changing specs. Our customers feedback to us that it enables them to have total faith in supply, whilst also getting very competitive pricing. With Fero managing the process, we ensure customers a secure supply chain, take responsibility for delivery, and ensure the flexibility that manufacturers require. For those customers who found China just too hard, we can step in to manage the process, giving them the benefits of Chinese manufacturing, whilst outsourcing the headaches. Is China the most cost-effective option for NZ companies? 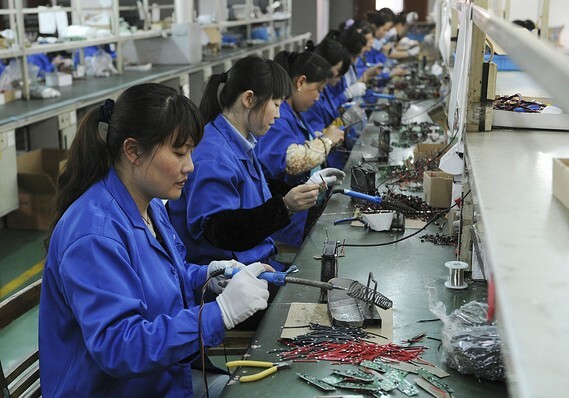 Businesses are returning from China to benefit local manufacturers. 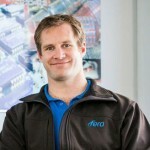 You may have seen Fero hitting the news recently, with articles published in The Herald, The Sunday Star Times, NZ Manufacturing and most recently on Radio New Zealand. 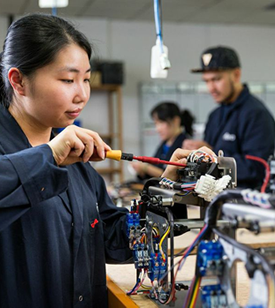 As you probably realise, we’re passionate about NZ manufacturing and are excited to see businesses actually coming back from China, wanting to place their business locally. So, we’ve been shouting from the roof tops over the last 3 months, explaining how sourcing products in China isn’t necessarily the cheapest option in the long-run. You get what you pay for in China so if the price too good to be true, then it is. Many Chinese manufacturers reduce costs by compromising the quality of the raw materials in their product. For example, copper wire costs are reduced by using recycled copper, which does not perform to specified standards. This can result in quality problems and high mitigation costs once the component is in use. It’s a very different way of doing business to New Zealand, so it is easy for local manufacturers to get stung. That is why it is important to shift one’s thinking from unit-based to taking into account the overall cost of doing business. Although its manufacturing is still cheap by New Zealand standards, rising labour and other costs are seeing China become more expensive to do business with. Its manufacturers are off-setting these costs through economies of scale. As a result, minimum run sizes are increasing beyond the reach of many New Zealand manufacturers. Sourcing resource materials in China is also harder than most Kiwi businesses anticipate because Chinese regulations make it surprisingly difficult to access many manufacturing materials from within that country. Export and manufacturing licence constraints mean Chinese manufacturers are often unable to source raw materials that are readily available in other parts of the world. This causes problems for New Zealand businesses that specify product materials that their Chinese manufacturer is not able to purchase, even though the material may be made literally down the road. The New Zealand business then has to go to the hassle and expense of specifying and validating alternative parts. Fero gets around this issue by importing the required resources itself, then re-exporting to its manufacturers in China. 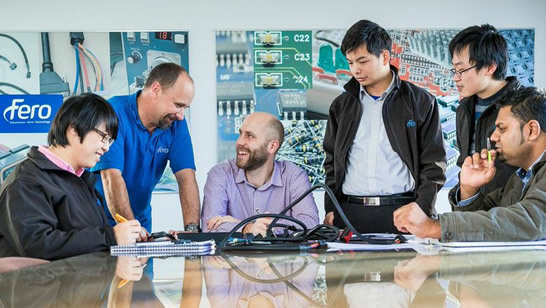 It has set up a dual New Zealand / China manufacturing option so that it can deliver what its customers need – no matter what the timeframe, quantity or specification. By integrating Chinese supply with local manufacturing, its able to provide a stronger supply chain and a more comprehensive service. 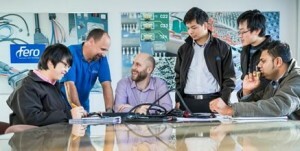 This business model means that Fero uses its Chinese partners for its New Zealand manufacturer customers who need high volume, high labour input looms and harnesses. Alternatively, Fero manufactures at its Auckland facilities – often at a very competitive price, and a cheaper overall cost, than could be done in China. Where possible it has automated its operations, enabling it to keep labour costs down. 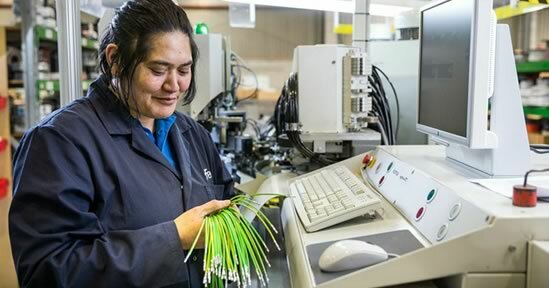 Providing a local manufacturing option is proving to be increasingly popular with New Zealand manufacturers because it enables them to be more responsive and turn changes around far faster. For example, if an appliance manufacturer wants to change a function such as adding a button to turn off the timer alarm, then the wiring loom will need to be updated. It can take five or six months from the time that change is notified, until the new stock arrives in New Zealand and then subsequently replaces the old stock ahead of it in the supply chain. Although there remain many advantages to getting goods manufactured in China, it is vital to do a lot of due diligence and spend a lot of time building relationships and understanding Chinese business culture before embarking on a business arrangement. It’s a high-risk game and there are no shortcuts. Many New Zealand companies are finding out the hard way just how difficult it is to resolve issues from the other side of the world, and how hard it is to prevent intellectual property and other rip-offs. This presents a lot of opportunities for Fero and other local businesses because we manage the difficulties and navigate the minefields of doing business with China, enabling our customers to benefit from the best of both worlds. May is going to be a very big month for Fero. 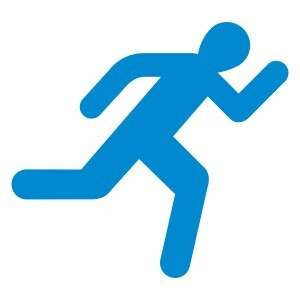 We’re making a change that will take us one huge step forward as a business and how we operate. Our mission over the past few years has been ‘to contribute to the sustainability of local Australasian manufacturing and our customers’ ability to remain competitive on a world stage’. To help achieve this we have set a goal to provide a 5 day lead time with 98% DIFOTIS within the next 12 months. We’ll achieve this once we have launched our… new MRP system. Very soon we’re introducing a sleek new system that will integrate all of our IT functions under the one umbrella. For a couple of years we have known that we’re fast outgrowing the systems that we have been working with. In order for us to provide the accuracy, quality and service that our customers require we have identified the need to improve the way we drive the business. We are now at that point and the implementation of this software has come at just the right time. In order to continue to increase our efficiency, accuracy and productivity we know that we need a customisable system that is developed for a high mix, low volume manufacturing business such as ours. With our goal of a 5 DAY LEADTIME WITH 98% DIFOTIS within the next 12 months, it is imperative that we have an MRP system that can help us to deliver this. We will also need to work with our customers to ensure that we have some forward planning of resource and materials required for this leadtime. Scoping and researching various solutions over a number of months, we settled on Abel Solutions. We feel that it gave us the best product for our business and in turn will ensure that we are able to provide an even better service to our customers. It was our requirement that whatever we used will contribute significantly to improving our delivery to the customer and our mission of ensuring local manufacturing sustainability and competitivity on the world stage. We feel that Able will provide that and more! The last 4 months have been very busy with data transfer, customisation, and training to ensure a seamless transition. In May we will go live and we are looking forward to have a host of functions that will greatly increase our internal efficiency and delivery of a superior service to our customers. Unfortunately we are very aware that we do not live in a perfect world and that any major change to software can cause some interruption to the business. If you do see anything that is not working well please let us know. We have worked very hard to ensure that there will be no major issues, however there could be some minor oversights and we will be able to fix once we become aware of them. You should see very little change in the way that we interact with you. There will be a slightly different look to some documents such as order confirmations etc, however we want to ensure no disruption to business as usual. At Fero we are looking forward to working with a new system that will make our lives a lot simpler and will ensure that we continue to lead the market in service, quality and delivery.